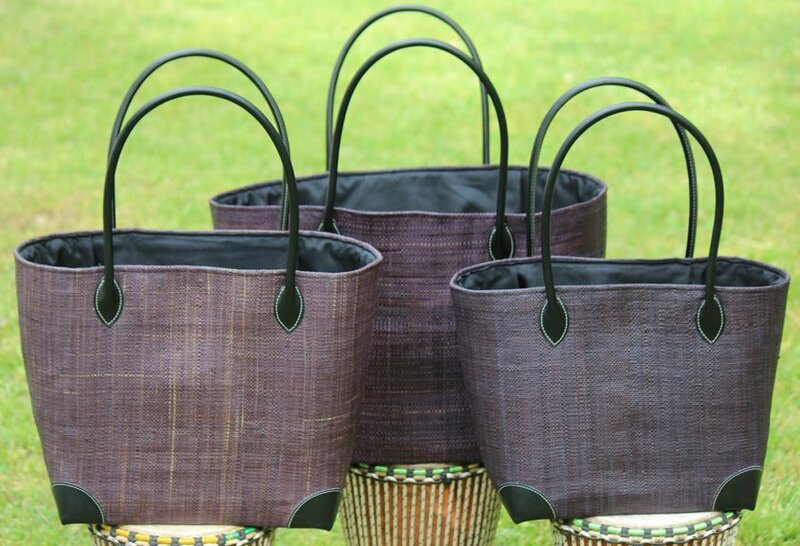 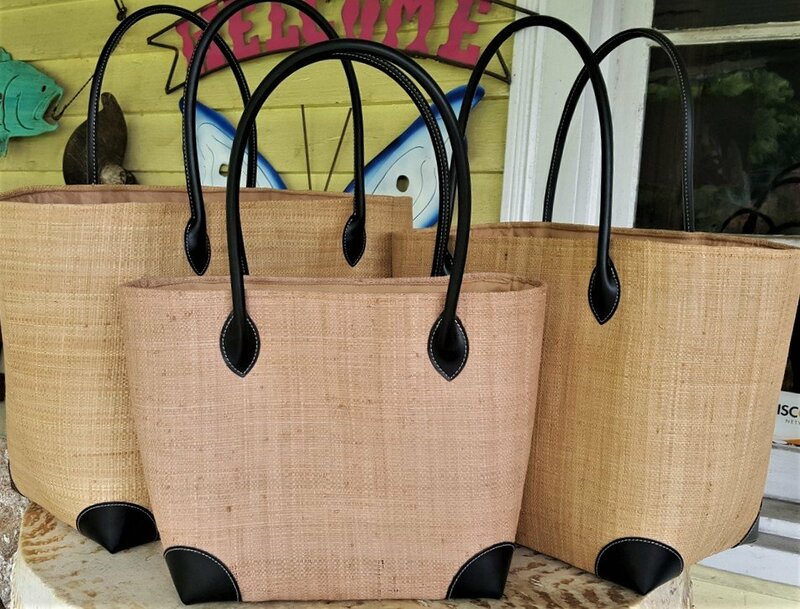 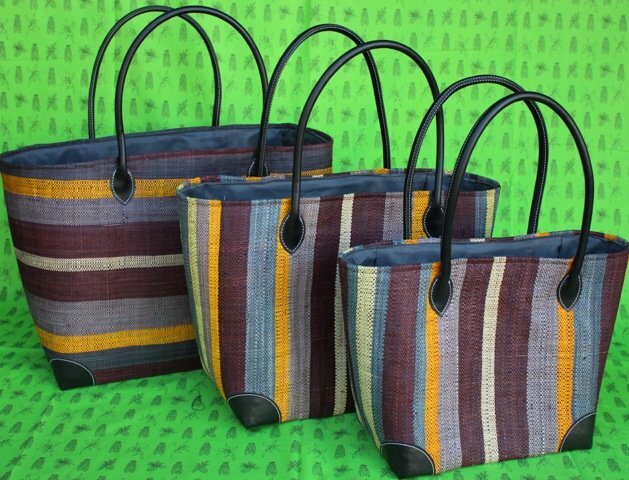 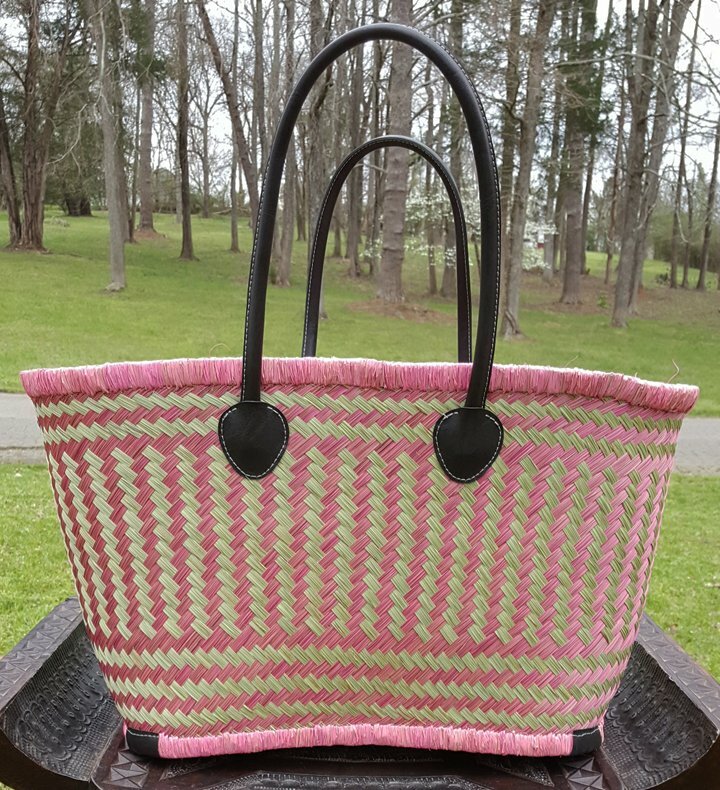 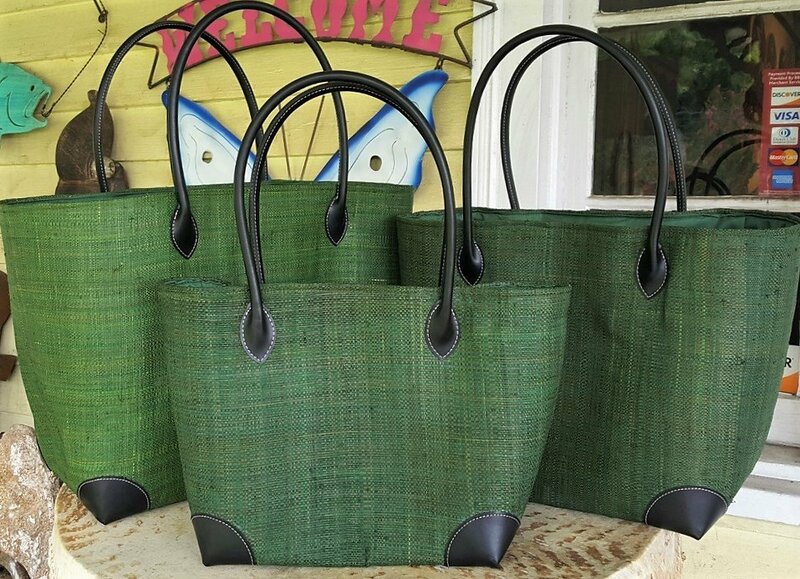 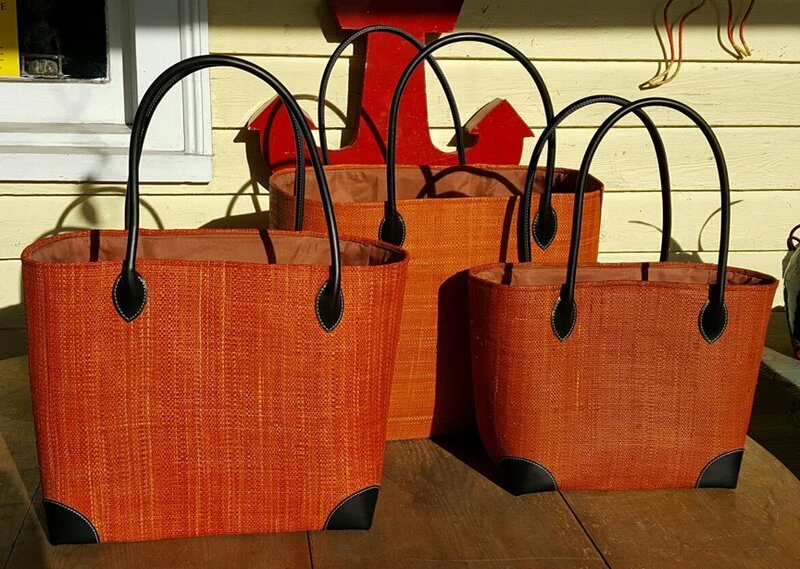 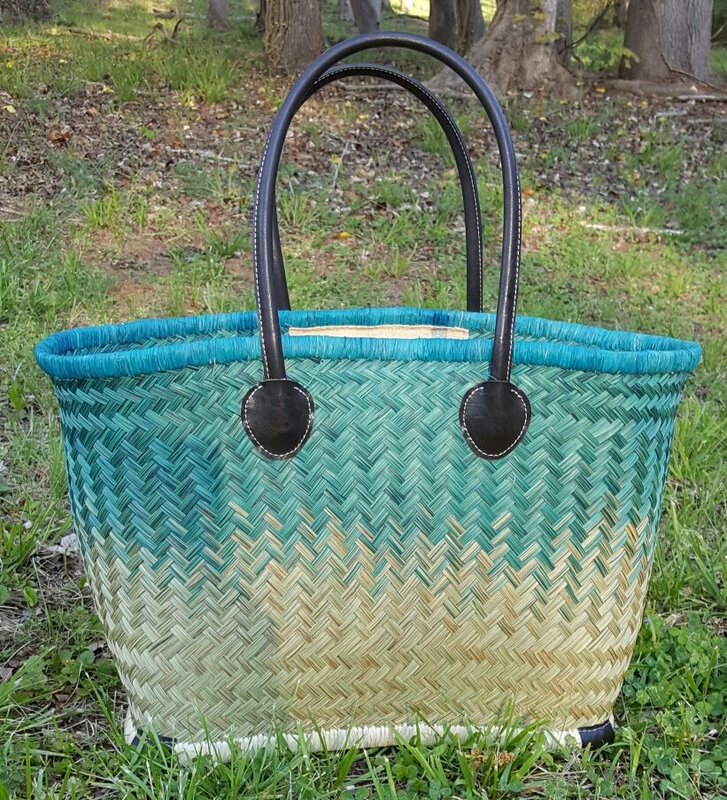 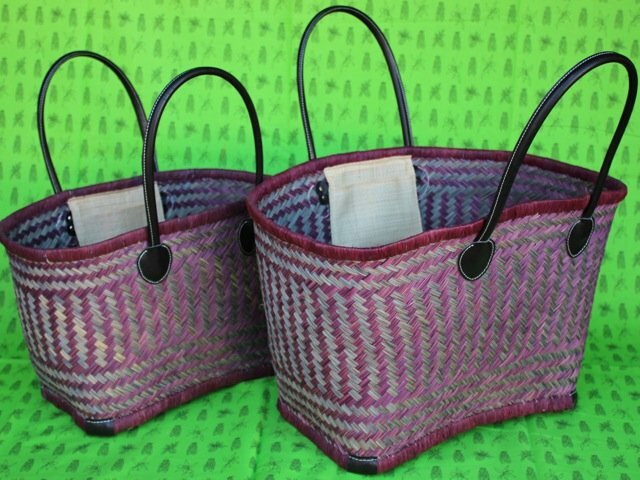 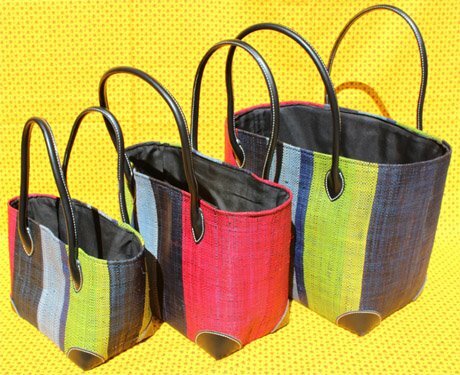 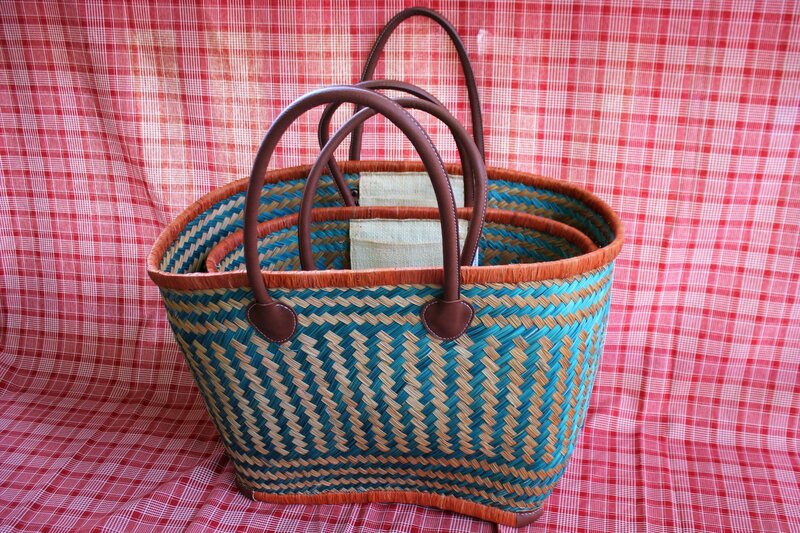 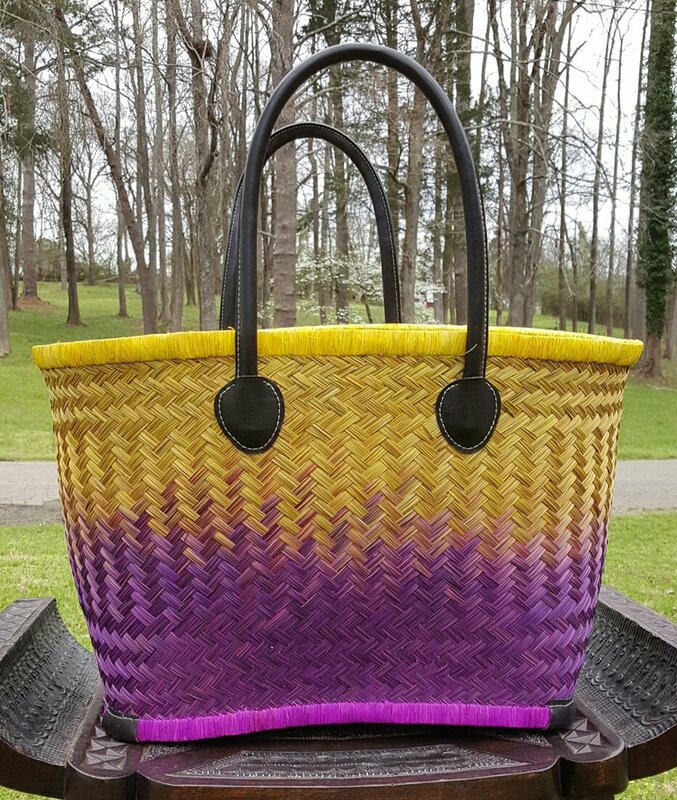 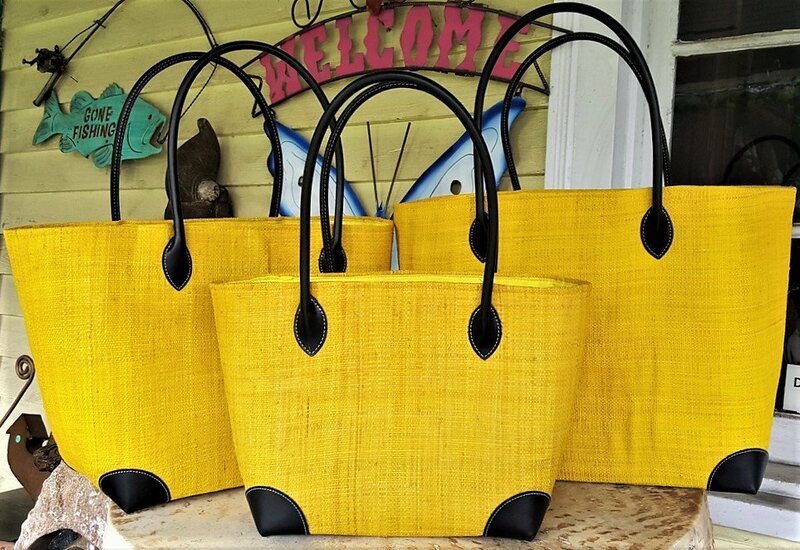 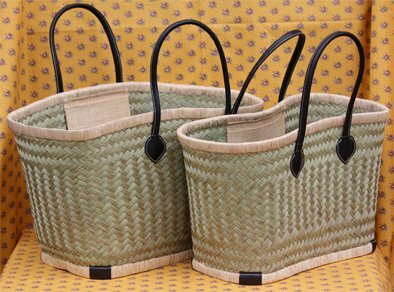 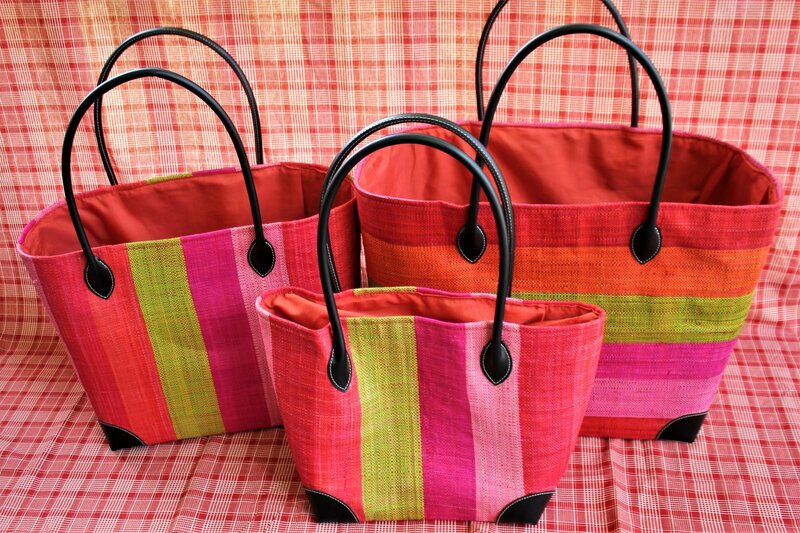 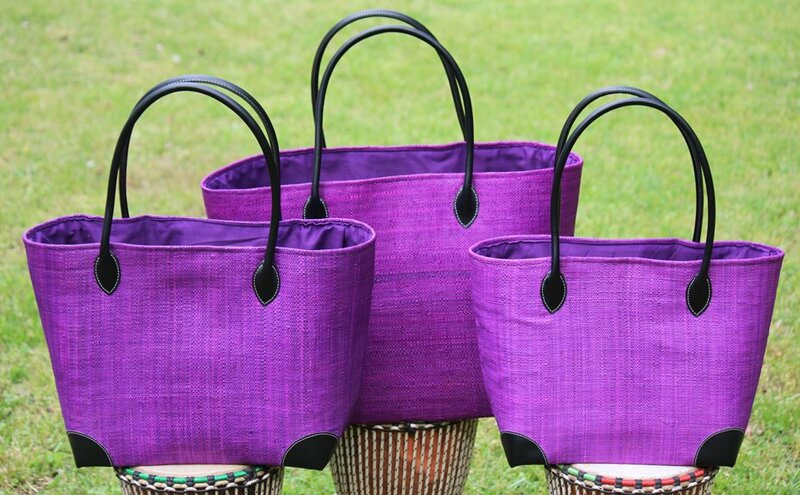 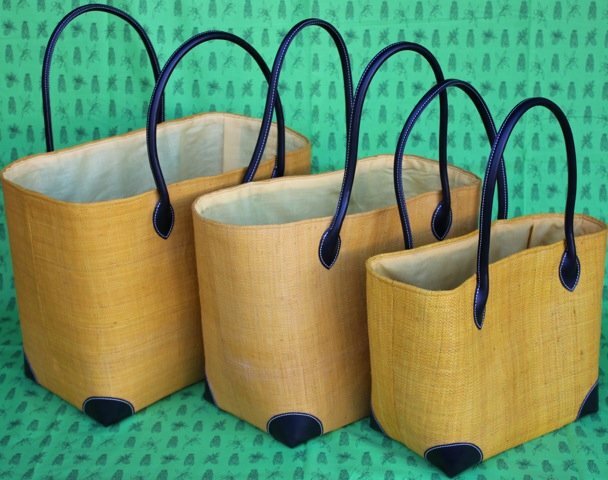 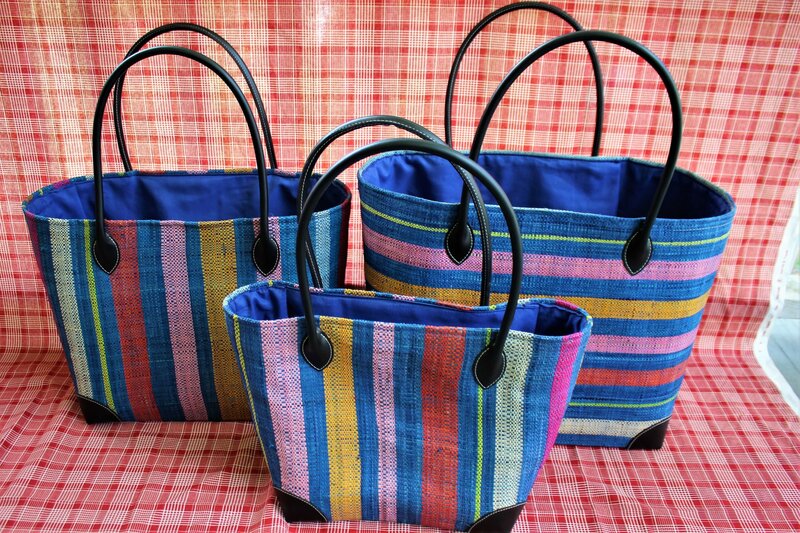 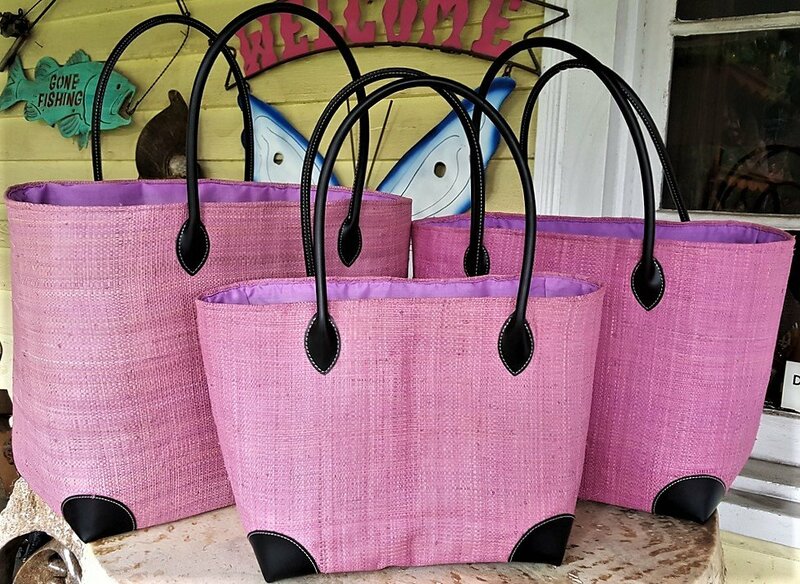 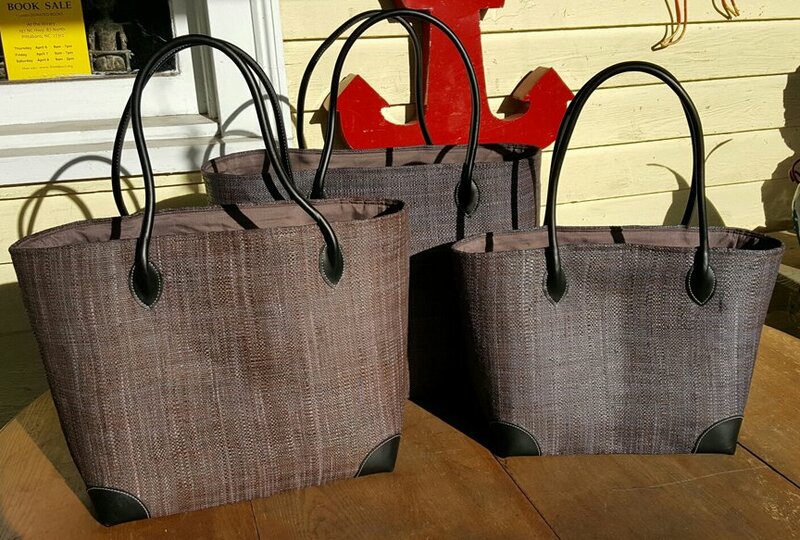 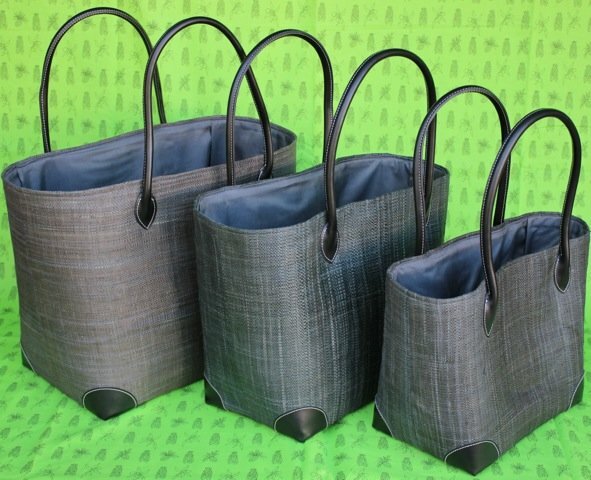 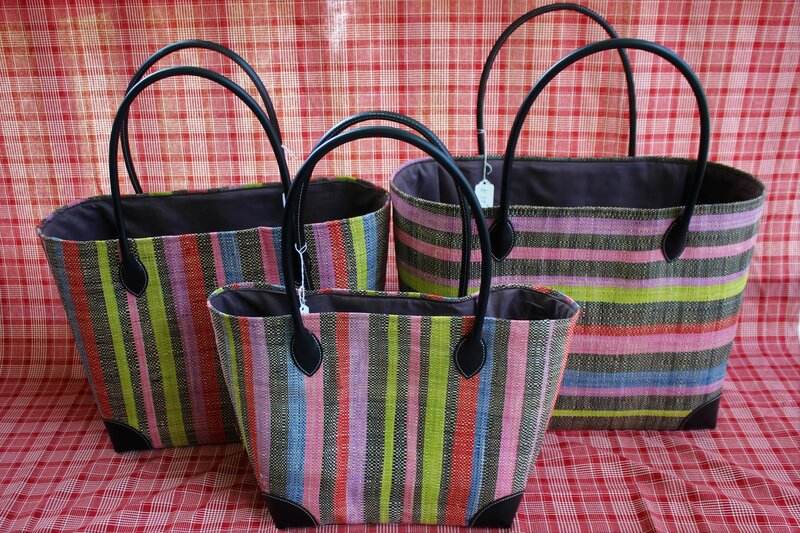 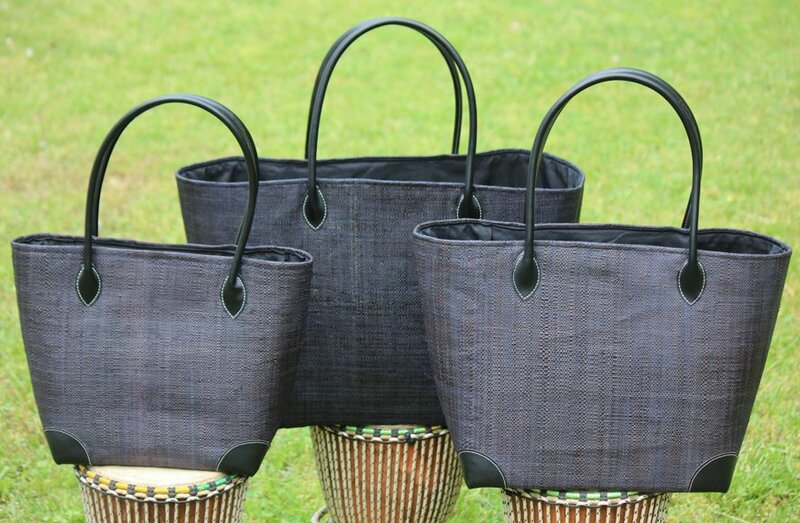 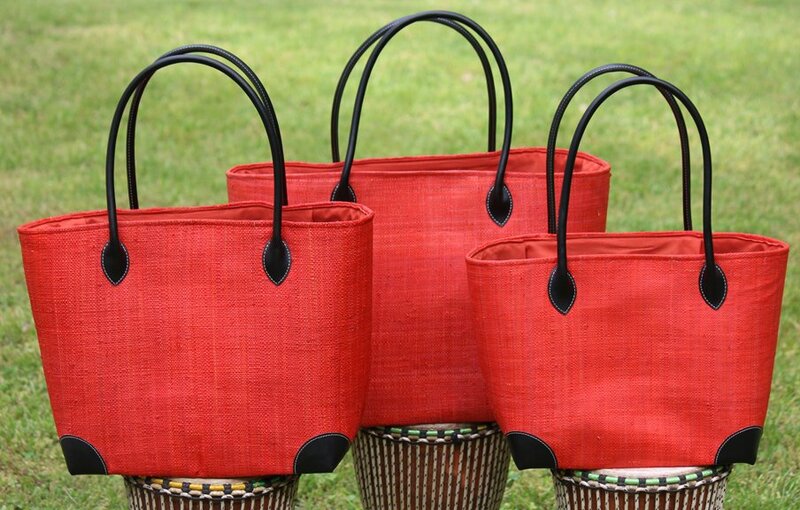 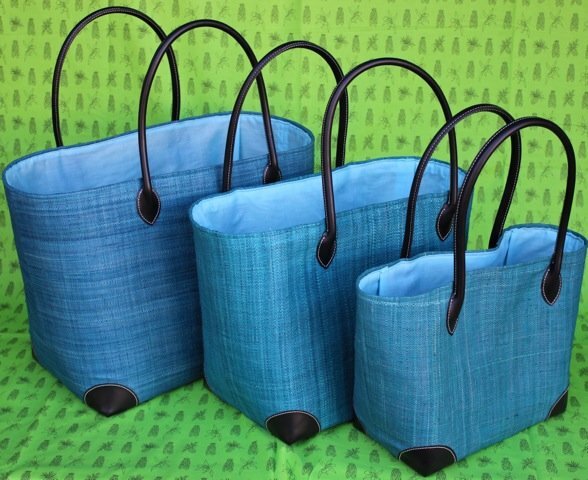 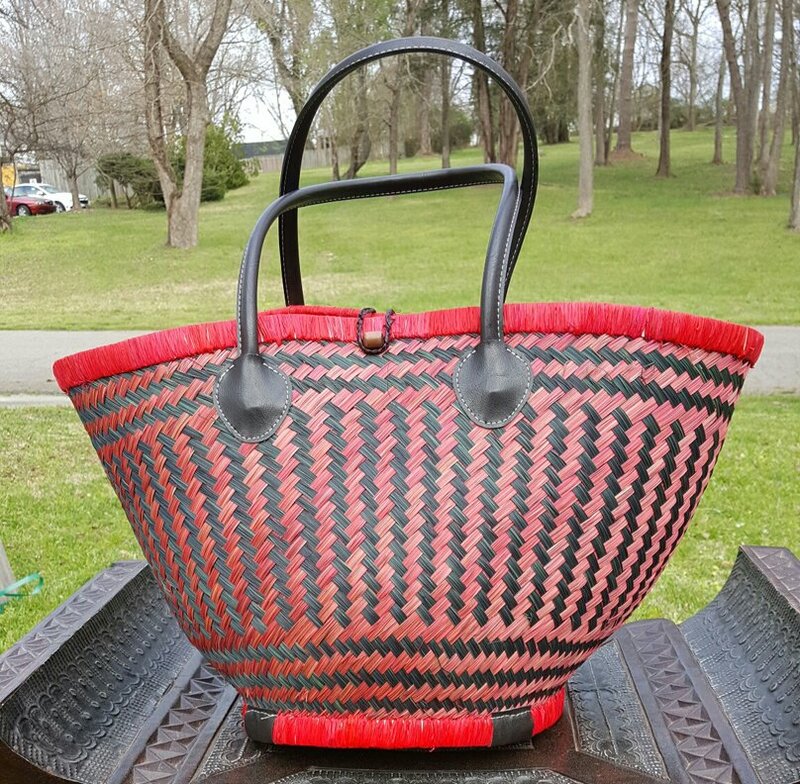 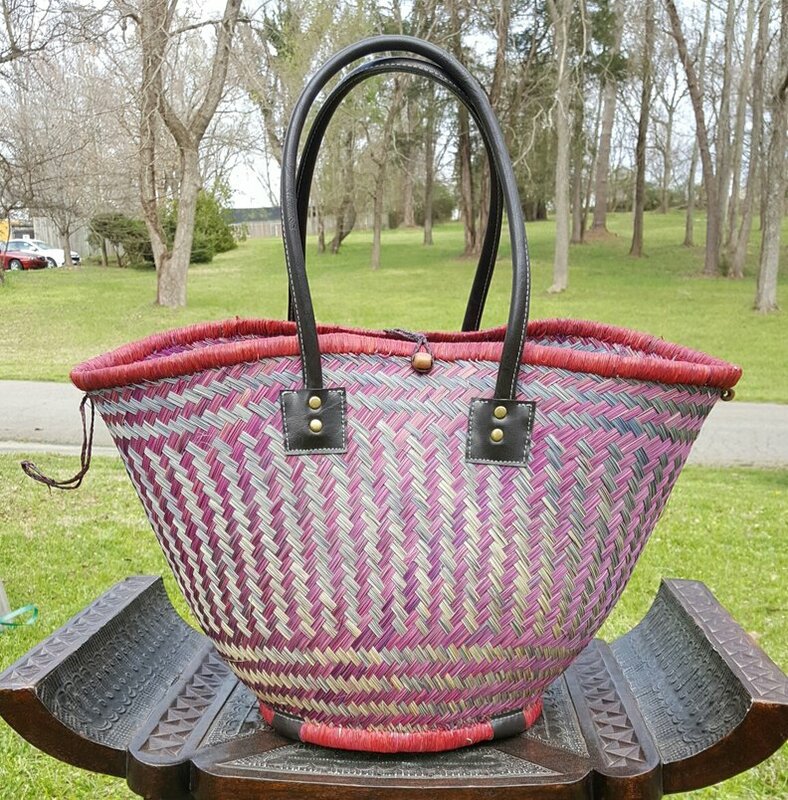 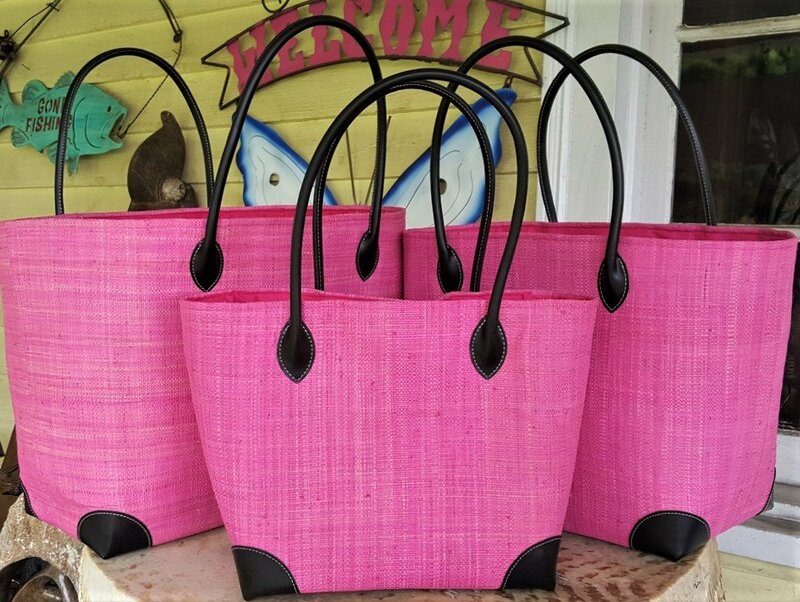 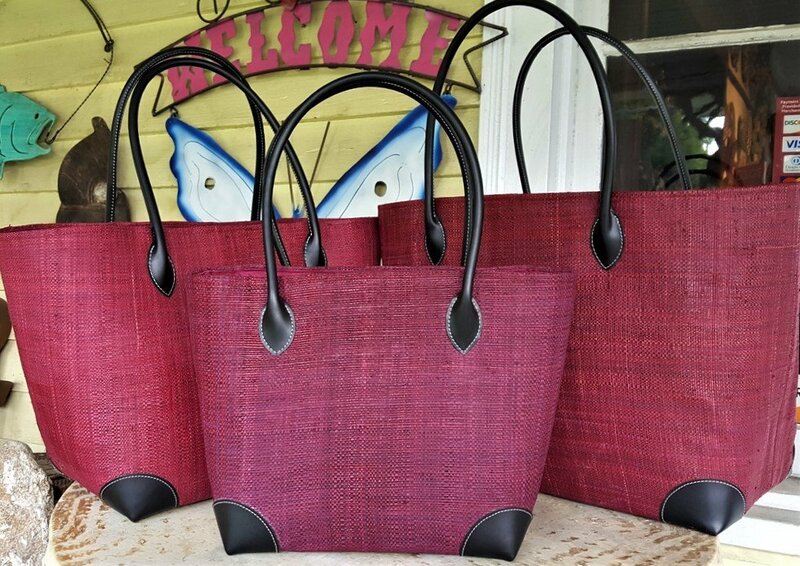 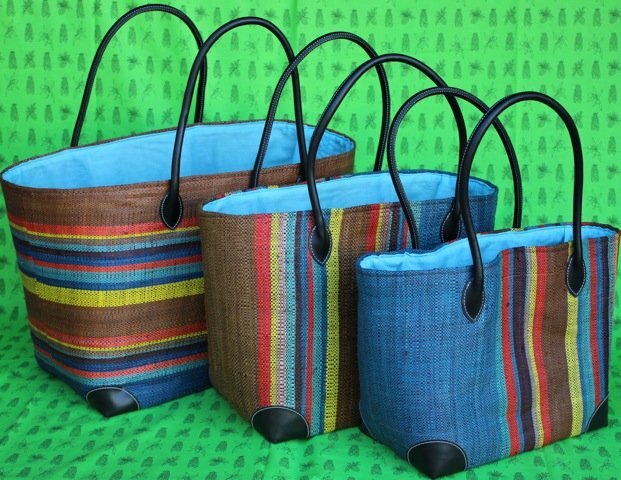 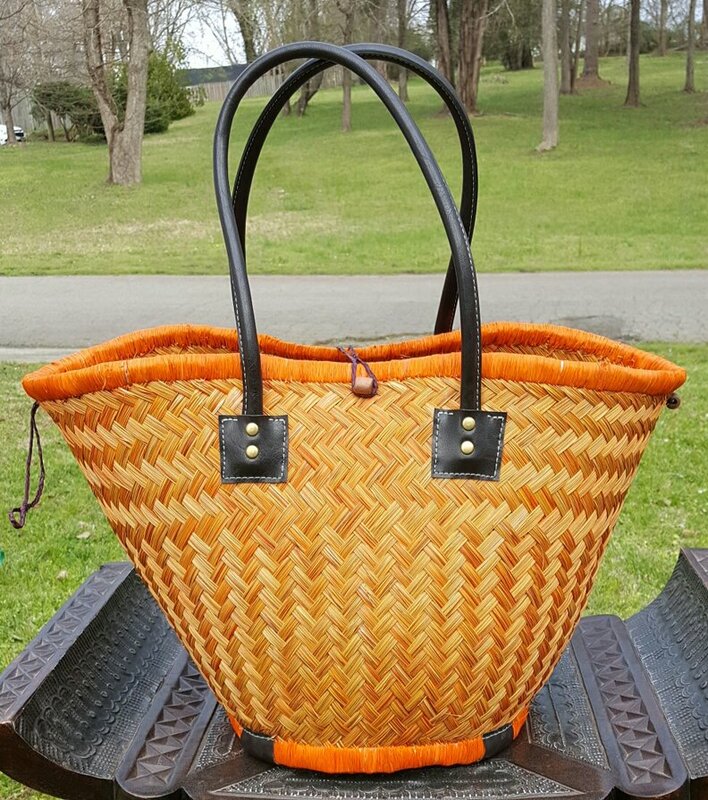 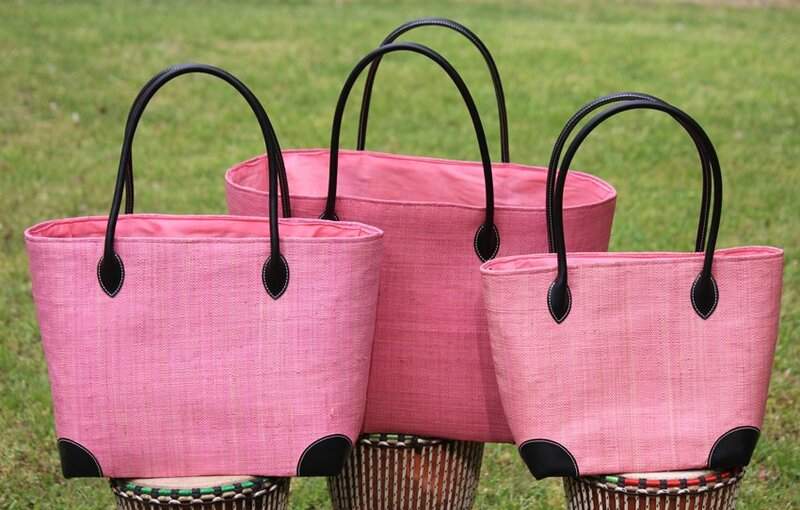 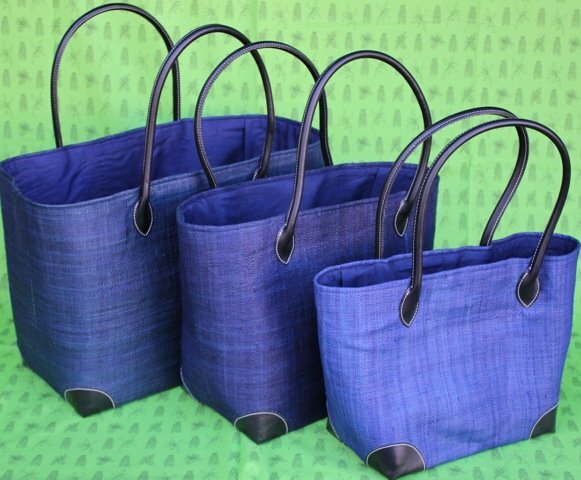 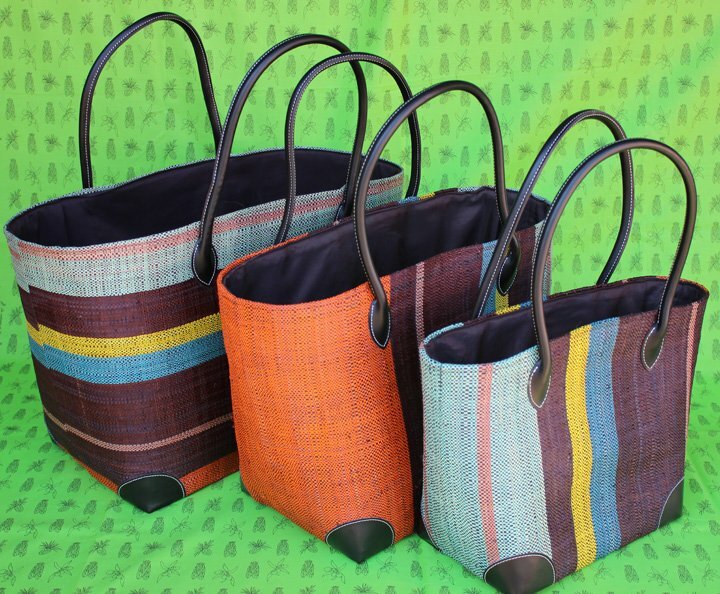 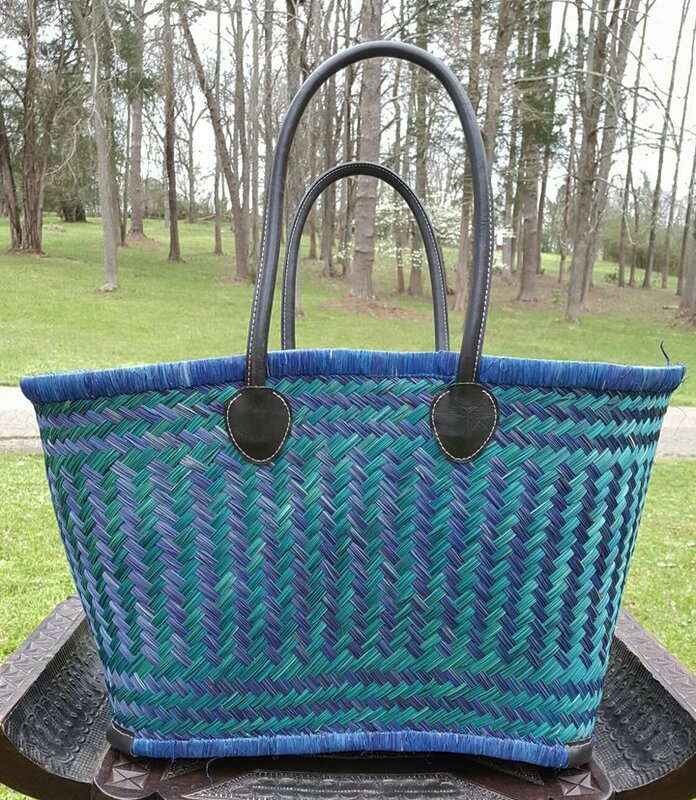 Madagascar baskets and bags are lightweight, yet durable. 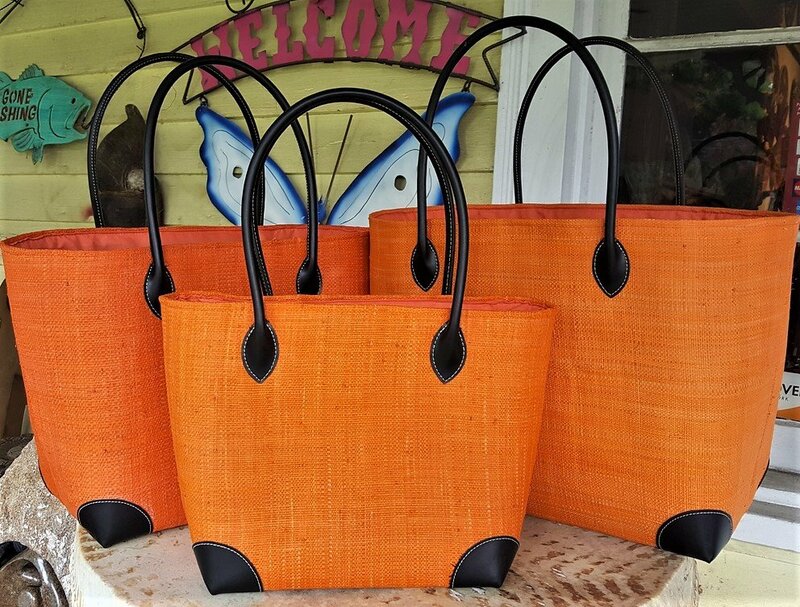 Features include faux leather handles and protective corners. 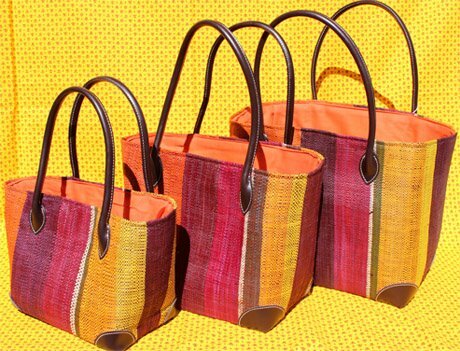 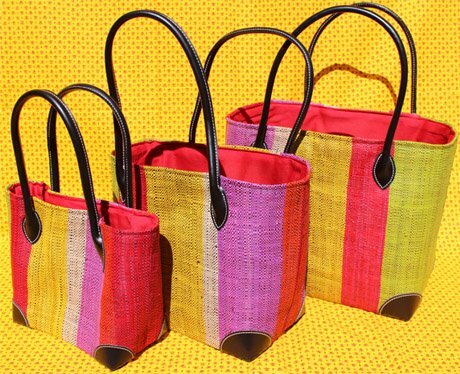 Raffia bags have coordinating cloth lining and drawstring closure, or a zipper and inside pocket. 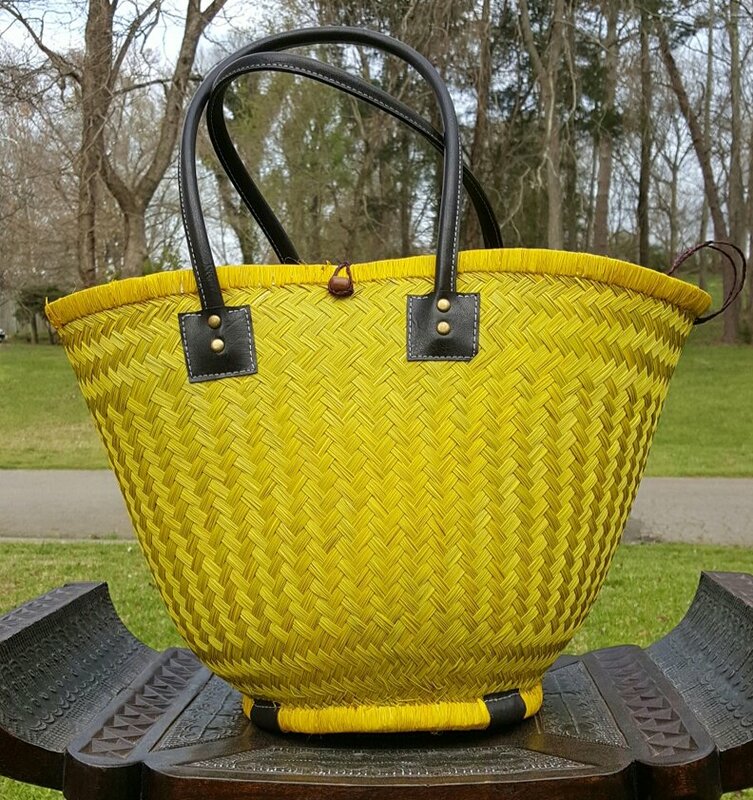 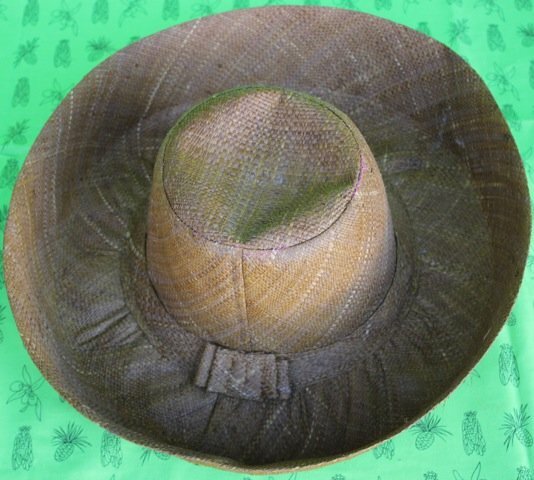 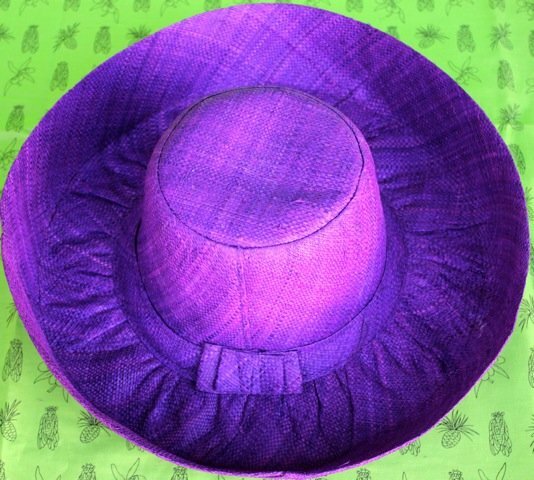 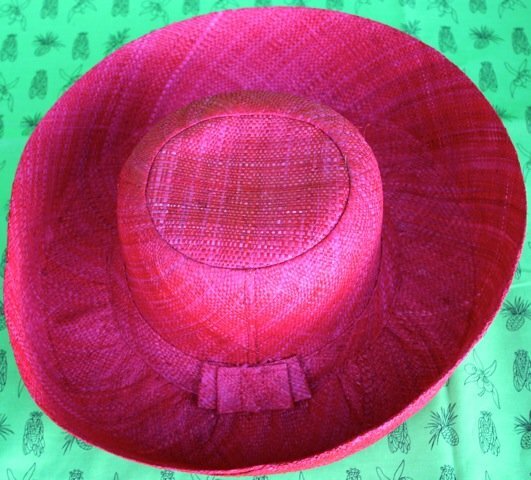 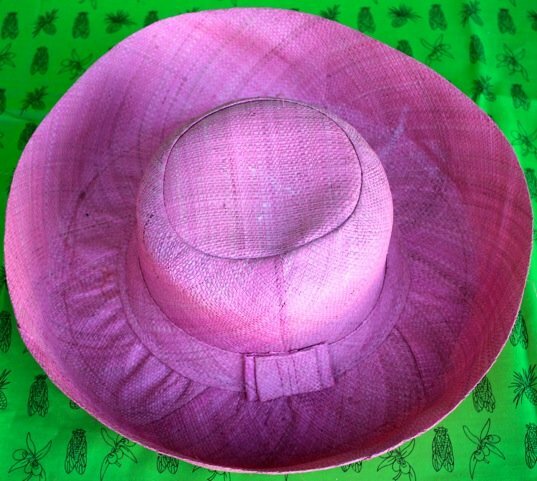 One of our favorite features of raffia is that it doesn't get dirty! 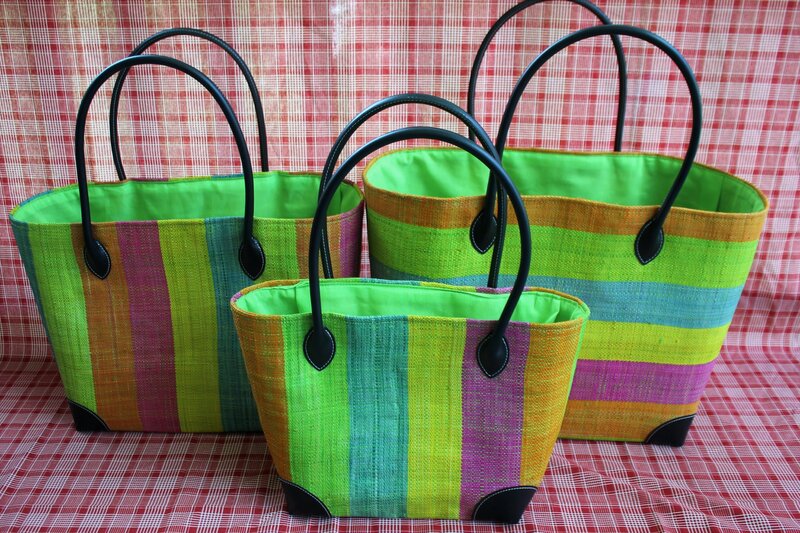 The fiber seems to repel dirt, keeping these bright bags looking new for a long time! 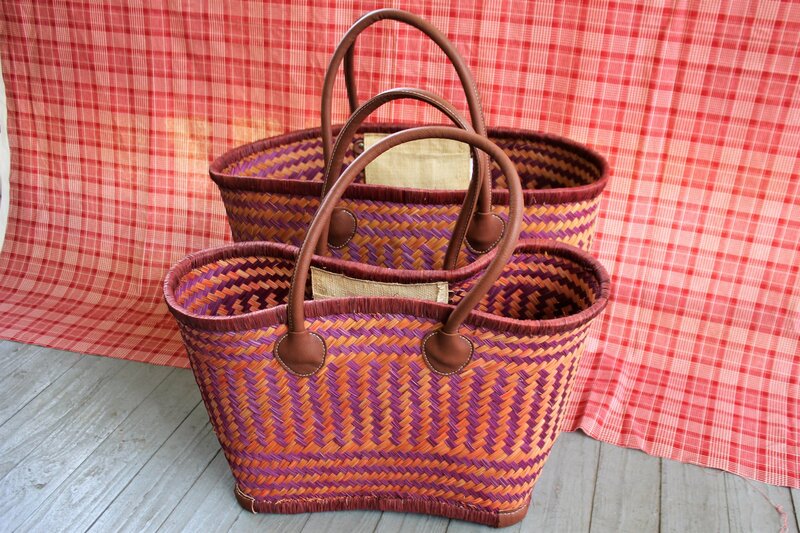 So chic, yet so practical!